My name is Georgie and I am a mobile reflexologist. My treatment rooms are in Hampton Wick (Teddington) and Putney. I also offer home visits within 2 miles of these areas. I am qualified in Maternity Reflexology , Hot Stone Reflexology , AromaReflex , and Natural Facelift Massage. Reflexology is a therapy that treats the feet or hands. 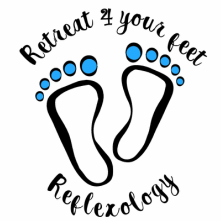 In reflexology we believe that the feet/hands map out the body and all of it’s internal organs so that by pressing and manipulating pressure points we can find imbalances with systems and then try to balance them. It is a hugely calming, relaxing treatment that benefits the client. Reflexology does not claim to diagnose or cure problems, it works to help the body reach Homeostasis and equilibrium. Putney, Fulham, Parsons Green, East Sheen, Barnes, Roehampton, Wimbledon, Teddington, The Hamptons, Hampton Wick, Twickenham, Richmond, St Margarets & Kingston. We look forward to treating you soon!